There are no spoilers here. You’re safe! Like so many other people, I’ve been a Star Wars fan since I was a little kid. I first saw a clip of A New Hope playing on TVs in my local Walmart at age six – I’m pretty sure it was the garbage masher scene. My parents, noticing that my sister and I were interested in the TVs, took us to the theater to see A New Hope, and I also ended up seeing Return of the Jedi at the theater. A fan was born, and I watched that special edition VHS tape set over and over – especially Return of the Jedi. The prequels were…okay. They weren’t utter dreck, but they also didn’t feel quite like Star Wars. Revenge of the Sith is clearly the best one, and even that’s just okay. They’re all saddled with bad scripts and (generally) good actors trying desperately to act their way out. When Disney bought Lucasfilm and announced that the saga would be continuing, I was nervous and excited. 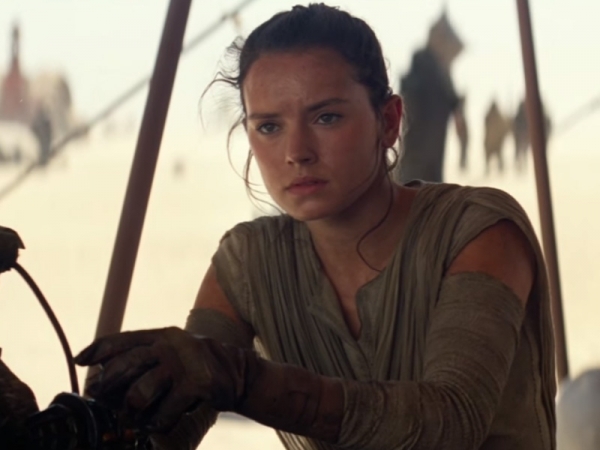 The Force Awakens was everything I wanted in a new Star Wars movie. Gone is the wooden acting; gone are the entirely green-screened sets. It feels real, gritty, and the stakes are high. The stormtroopers took shooting lessons after the second Death Star fell, and everything feels dangerous again. TFA is just the right blend of nostalgia and new additions; I think it makes a wonderful bridge between episodes IV-VI and the new trilogy. I never thought I would get to see a new opening crawl again, so that moment of fanfare was super emotional. The cinematography was well-executed; there were a number of amazing shots. On the other end of the spectrum, I was glad to see that the silly transition wipes are still present. The one thing I would have liked more of was exposition – the background of the new characters is pretty much a blank slate. I suppose the new Expanded Universe canon has to start filling in those gaps, but it would have been nice to know some more about our new heroes and villains. The new EU probably doesn’t have much wiggle room to expand until at least Episode VIII. The new cast members are excellent; Finn (John Boyega), Rey (Daisy Ridley), Poe (Oscar Isaac), and Kylo Ren (Adam Driver) are all played by relatively unknown actors, mirroring the trio of the original trilogy (and it’s wonderful to see them all again). The humor is outstanding, and never feels forced or trite – I was surprised at how much I laughed! Also, and perhaps most importantly, there’s not even a whisper of midi-chlorians. The Force is what it was from the beginning – an energy field that binds the galaxy together. There are so many parallels with the original trilogy throughout TFA that it feels like the Force is echoing through the decades, influencing events. I felt like a kid again. The magic is back. And that’s all I wanted.